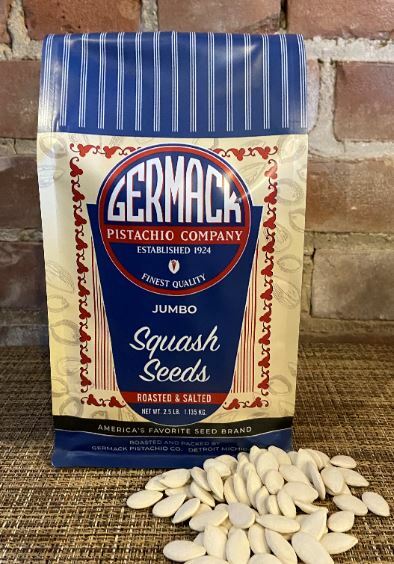 2.5lb of jumbo squash seeds (much larger than pumpkin seeds), roasted and salted by our process exclusive to Germack. This is our top selling seed and one of our all-time best selling products. 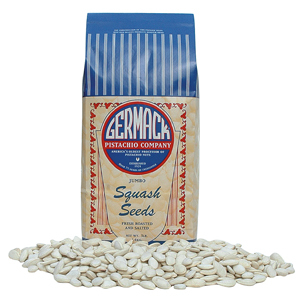 We are one of a handful of companies who roast squash seeds in the U.S. Give them a try! Packaged in our signature paper bag.